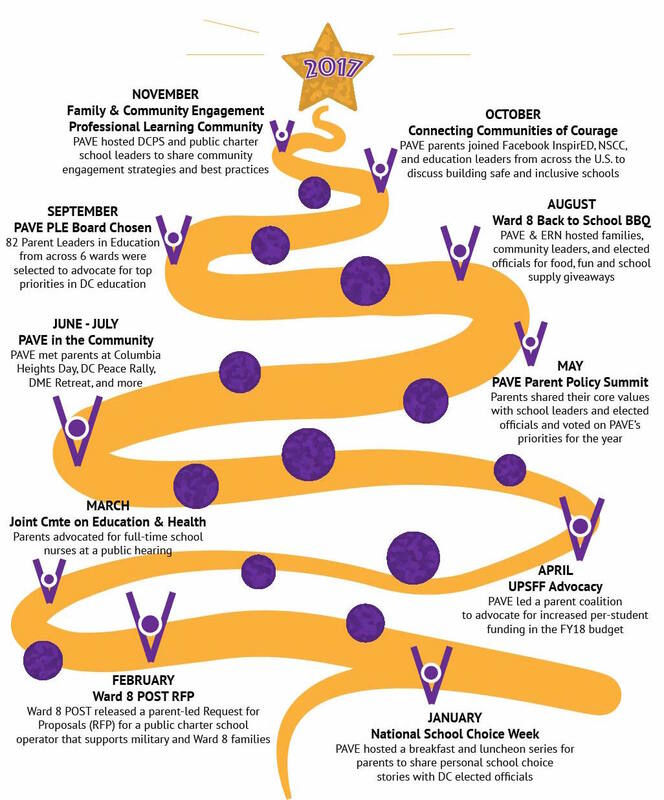 How PAVE Parents Made A Difference In 2017! PAVE parents were busy this year! Check out a sample of PAVE’s accomplishments in the graphic below. These are just a few of 2017’s many testaments to the power of parent engagement and partner collaboration, for which Washington, DC can be proud! If no one offers you a seat at the table, pull up a folding chair! Read Ward 1 PAVE PLE Board Member Miriam Perlacio’s story of how she was motivated to become a parent leader after learning about the obstacles non-native English speaking families face when trying to access educational opportunities in our city.